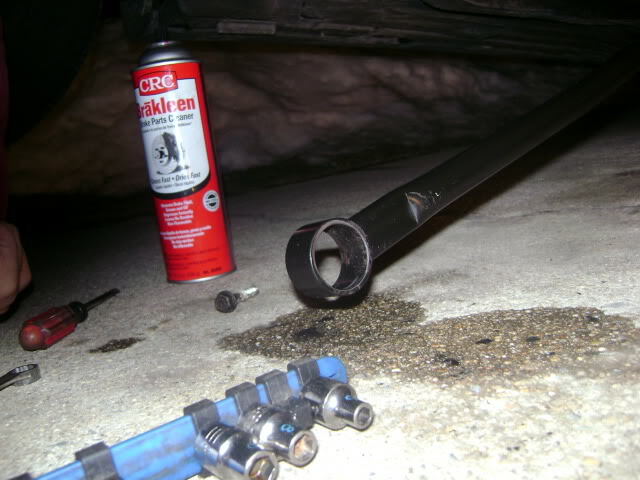 -Shift linkage will drop down, pry out the OEM bushing with a screwdriver, and clean everything up with Brakleen. This is what you should have now in front of you. 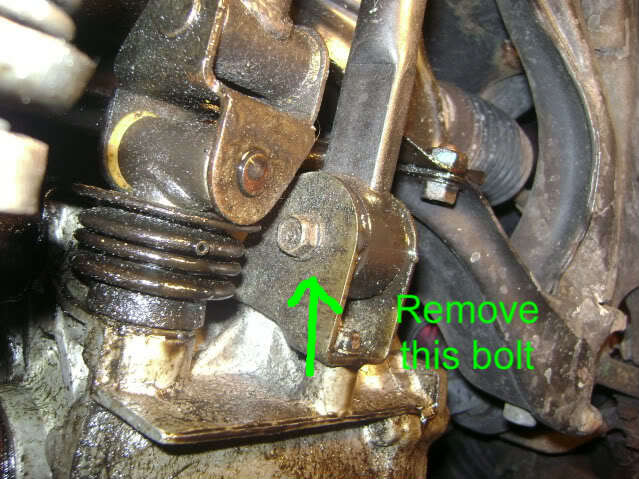 Push both sides into the shift linkage, insert metal shaft through the bushings (with lube on it as well), re-install shift linkage with the one bolt you previously removed. Get under where your shifter is and you'll see this...remove the bolts, and then slide off. 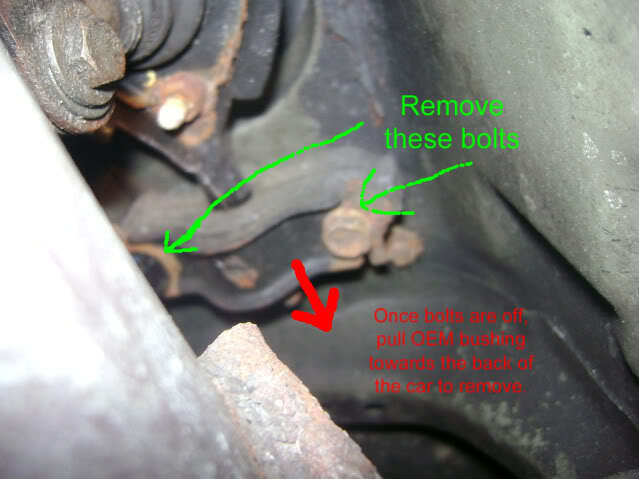 The shift linkage will drop again. 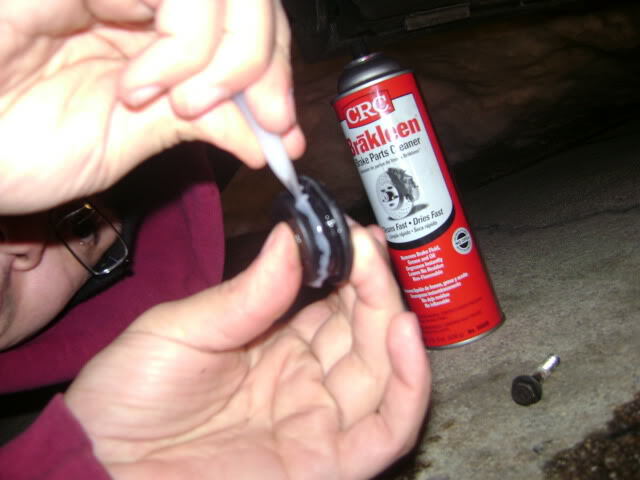 Install ES shifter bushing with lube. Step 4 - Lower the car and clean up! You're done! Now hope in the car and go for a spirited drive. You will notice a difference. Last edited by WellFedHobo; 02-25-2010 at 01:17 PM.